Inch Players Drama Group present "Widows' Paradise"
The cast of Inch Players Drama Group "Widows' Paradise"
The legendary Inch Players will stage the hilarious three–act comedy, “Widows’ Paradise”, by North of Ireland playwright, Sam Cree, in Inch Community Hall on Saturday, Sunday and Monday, April 6, 7 and 8 at 8pm nightly. Widows Paradise is a 3 Act comedy written by Sam Cree takes place on a Friday evening in early September in a holiday park. Five women decide to hire a caravan for the weekend away from men. However, not everything goes to plan,with hilarious consequences! 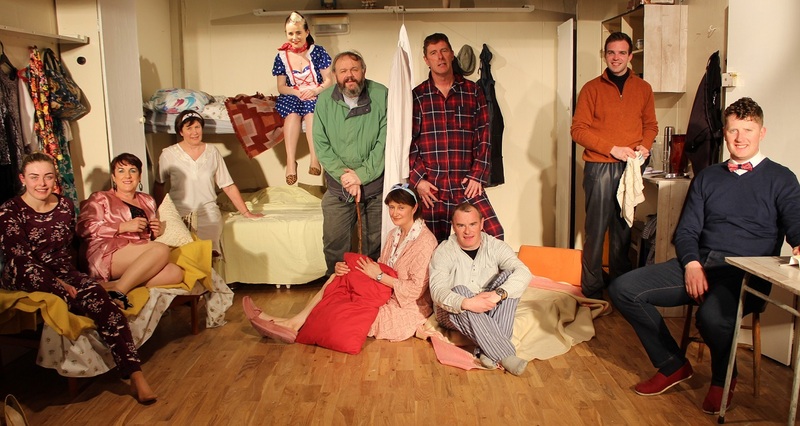 Cast as follows, left to right: Trish O'Halloran, (Rosie), Mary Everard (Vanessa), Kathleen Flynn (Ruby), Jody Kennedy (Sylvia), Pat Gormley (Mr. McGonigle), Matilda Hayes (Lucy), Brendan Hoare (Harry), PJ Delaney (Ernie), Brian Everard (Alan), Matthew McGrath (Wilfred). The Joint Directors are Matt Shanahan and Bridget Bourke.